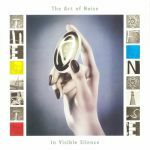 Review: By the time the Art of Noise released third album "In No Sense? Nonsense!" in 1987, the outfit was the sole preserve of sampling pioneer and Fairlight CMI specialist J.J Jeczalik and neo-classical composer Anne Dudley. Between them, the pair produced an impressively experimental, pop-tinged set, with critics praising both Jeczalik's advanced percussion programming and trademark sample collages, and the string-drenched sweetness and layered keyboard work that soundtrack specialist Anne Dudley provided. This "deluxe" reissue could well be the definitive version, featuring as it does the re-mastered original set, alternative remixes, dancefloor-focused 12" versions (something the band always excelled at), demos and previously unheard tracks. Surprisingly, these include previously unreleased collaborations with Duane Eddy and Sir Paul McCartney.